Scott Voelker is not a CPA, Accountant or Legal Advisor, so please contact your TAX professional and have them see if this new TAX Law will be applied to your business. Aren’t you ready for some good news to hit the ecommerce sector? If you could pick one area that you’d like to hear good news about when it comes to your business, what would it be? On this episode of The Amazing Seller, you’ll hear from Scott as he welcomes his guest, Josh Bauerle. In his conversation with Scott, Josh breaks the amazing ecommerce news, what the new Trump tax policy means for your bottom line, which business entity you should form, and so much more. Don’t miss a minute of this exciting and informative episode with Josh! Here it is, the big news that will help ecommerce sellers like you save money and take your ecommerce business to the next level. You can now deduct one hundred percent of the inventory that you purchase in a given year. This is huge news! You no longer have to worry about that inventory that you bought that failed to sell, you get to write that off. Goodbye, “Inventory tax!” To hear the full break down of this exciting news and what it means for you, make sure to listen to this episode of The Amazing Seller! Which business entity should you form? Find out how each entity operates differently and which one is the best fit for your ecommerce business by listening to this helpful episode of The Amazing Seller! Let’s face it, the pressures of building an ecommerce business from the ground up are significant. There is no need to compound your stress by trying to game the system. There have been some substantial changes to the federal tax code that makes it easier for sellers like you to build a successful business the right way. Don’t be tempted to take a shortcut! 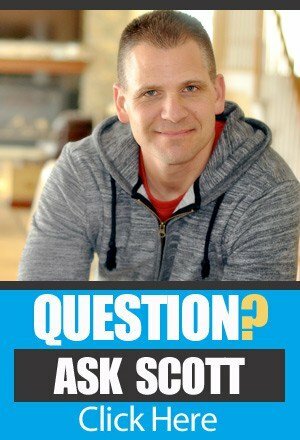 To hear more about his vital topic from Scott and Josh, make sure to catch this engaging episode of The Amazing Seller! 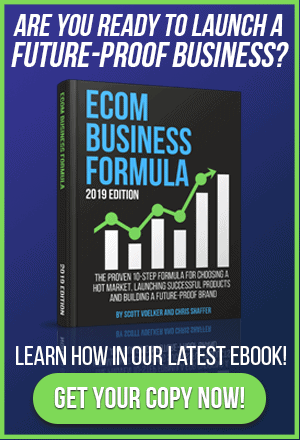 Are you ready to get your ecommerce business out there and making a profit? The great news is that the government is actually passing policy that will make your life easier! Not only do ecommerce sellers like you get to write off inventory that you purchase, but you also get a twenty percent tax break on your profit! This is wonderful news! Now you can use these funds to expand your business as you look to the future or put that money back into your pocket. For further info on this important development, make sure to listen to this episode of The Amazing Seller! [0:30] Josh Bauerle joins the podcast. [11:00] What does the new tax policy really mean for your bottom line? [16:00] Which business entity should you form? [22:30] Don’t try to game the system! [25:45] How to connect with Josh. [29:00] Closing thoughts from Scott. …on a good friend of mine, Josh Bauerle. What is going on here with this inventory stuff? [00:00:33] Josh: Finally, finally we have breaking news to offer in the tax world. This is huge news for e-commerce, anyone with an inventory-based business but in this case we’re talking Amazon sellers, e-commerce sellers. [00:00:47] Scott: Yeah, now this is big. I heard this actually… Let me kind of go back to how I heard about it and then I bumped you and I go, ‘Listen, how come I’m hearing about this second hand?’ And it was actually one of your clients and you guys must have shot a video explaining what was happening to all of your clients. And then he’s actually a listener, actually someone that was going through the process of possibly being one of our Inner Circle members because he’s at a higher level. And he sent me the video that you guys shot for your clients. And he goes, ‘I’m not sure if you heard about this yet but this is big and it just happened and Josh actually just let us know about it.’ And that’s how I heard about it and instantly I’m texting on my phone, I’m like, ‘Josh, what the hell is going on over here? How can you not even tell me about this?’ And you’re like, ‘It just happened. Literally. Now we just let our clients know. How did you find about it?’ So that’s how it happened. [00:01:37] Josh: Yeah it’s crazy. And it’s something we’ve kind of known that was a possibility for a long time since this Trump tax plan came into play. But no one quite knew if this was going to be legit. So we didn’t even want to tease our clients with it. Because once you tell someone this then it happen to backtrack and say, ‘Ooh, never mind. That wasn’t what we thought.’ It’s not fun, right. So we’ve kept it under wraps. We waited, we waited, we waited. Finally, the AICPA which is just the big group for CPAs, bunch of nerdy people they asked the IRS for clarification on this. They finally came back and said yes, it is indeed the case and… Should we just break it? [00:02:16] Scott: Yeah, we should break it. [00:02:16] Josh: We’ve kept people waiting on pins and needles here. [00:02:19] Scott: Yeah, go ahead and blurt it out. [00:02:21] Josh: So you can now deduct 100% the inventory that you purchase in a given year. It’s huge. If you’ve never delved too deep in the topic you may be thinking what’s the big deal. But if you’ve listened to any of our other prior tax discussions on here you know that the big downfall to inventory-based businesses in the tax world was you could only deduct the inventory that you actually sold. So if you bought $100,000 worth of inventory, sold $50,000 of that, the remaining $50,000 was not a tax deduction yet. So it almost felt like… A lot of people called it the inventory tax. Because it felt like you were paying taxes on that inventory that you didn’t sell. If people timed this wrong, it was crippling. They could make a big inventory purchase at year end, not get to deduct hardly any of it and now not have cash to be able to pay all these taxes they own. [00:03:14] Scott: Yeah, that was a big think that you were finding when you would have clients come over. Even my listeners they were coming over and it was like a big, it was a big eye-opening thing for them. And even for me in the beginning when I first started I’m like, ‘Wait here, like I just purchased $20,000 in inventory, that means I have to wait until I sell it until I can actually use it as a deduction?’ And you’re like, ‘Yeah.’ And it is so weird, I just spent all this money and now I don’t get to actually use it as a deduction. So I could be sitting on that for 12 months into the next year or 11 months and not be able to actually deduct it before now that we’re able to do that. Now, and like you said, you had some people said like you’d give them the breakdown, you’d be like, ‘All right, you’re going to have to pay tax on like $40,000,’ and then they’re like, ‘Well I’ll just go buy $30,000 of inventory and I’ll get a deduction.’ And you’re like, ‘No. That’s not how it works.’ That’s big. Walk me through like how this even came about though. Who kind of pressed for it? Why did we get it? Why is it changing? Maybe lead me through that. I’m just kind of curious. [00:04:24] Josh: There’s not really any clear evidence of who pushed for it or why now it happened other than they did have a massive change in the tax law for the first time in a long time. So I guess this was just the opportunity to say, ‘Hey, while we’re here let’s take a look at this.’ And it really made no sense honestly. In the accounting world there’s cash basis and there’s accrual basis. And cash basis is how almost all small businesses report their taxes meaning when they pay for something, it’s an expense, when they receive money it’s income. In the accrual world you kind of have to wait until you use something. Just like with inventory. Let’s say you had advertising contract, a 12-month contract for someone to do the advertising. In the Accrual world you could only deduct it for the months that you actually use. You couldn’t prepay and then deduct it. The IRS was for the longest time saying you can be cash basis for everything in your tax return except inventory. You have to report that on accrual basis. And it made no sense. It was crippling for small businesses. So they finally just decided like look for small businesses and in this case they considered a small business anyone that has gross income under $25 million. So if your business makes less than $25 million in total sales you fall into this. Let’s just make it simple. If you pay for it, you deduct it. You buy inventory, you deduct it. We don’t play these games of waiting until something sells. Let’s make their accounting easier. Let’s make their taxes easier. And let’s help small businesses. So rare case where the politicians helped us. [00:05:55] Scott: Okay, so now let me ask you this. Now we spend the money on the inventory, we get to write off that inventory. So that basically means we’ll probably pay less in taxes because we have less, technically we have less money that’s being show as… You see where I’m going with this? Maybe clear that up, make that crystal clear for people because yes this is one thing but in the other breath, it almost is going to look as though you can almost make it where you didn’t make hardly any money. [00:06:28] Josh: No, this opens up tremendous tax planning strategies. So let’s get it down to the very basics. You pay taxes based on the profits that that business receives, that the business makes. Meaning you had $100,000 in sales, you had $50,000 in expenses, you pay taxes on that $50,000 profit. Now you can purchase inventory even if it’s not sold as going to be an expense which reduces those profits which reduced taxes. So you now have the option to do what a lot of clients thought they can do and say, ‘Hey I’m short of profit of $50,000, I have this cash sitting here. [00:07:12] Scott: How does that work though now if you had a line of credit or something and you’re using that line of credit as…? [00:07:19] Josh: It gets confusing when that happens but it actually makes no difference. When you buy something with a loan, it’s still an expense. It does not matter if you buy it with cash or credit. And where that comes into play, where it gets confusing is, so let’s say that you borrow $100,000 to buy $100,000 worth of inventory. That’s immediately $100,000 expense. But let’s say that you make $10,000 payments on that loan every month. The $10,000 payment on the loan is not an expense because you already expensed it when you bought the inventory. So that’s where it gets a little confusing but if you just think about the very basic concept when you buy the inventory regardless of how you purchase it is an expense. [00:07:57] Scott: Yeah, yeah. That makes sense. And I think like we’ve even done that in the past where it’s like it’s at the end of the year. You’re like I’m going to need a new computer. I might as well buy a new computer now. I can get the deduction this year and you might even put it on a charge card or something for the business, a business expense. You’ll still be to write it off. And that’s good practice. At least I look at it that way because why not. If you’re going to do it anyway, just think about the things you’re going to be buying. If you bought them in January, February of the following year you got to wait the entire year to get actually the deduction that’s going to be put back into your pocket. Okay, so let’s talk a little bit… I know you wanted to talk also about a few other things. The one thing I want to ask you, maybe this is going to lead into that is like there’s been some change, like you said in the tax bill. Maybe talk about that. Like let us know what that is and honestly I don’t know 100% what it is you’re going to be telling me first hand here. So maybe you can kind of shed some light on that. We have clients who are very profitable this year but for tax purposes they are going to look like they lost money because of these massive changes here. So it’s huge. For the e-commerce world, this is a phenomenal development and you need to be talking to somebody to make sure you’re maximizing it. [00:09:46] Scott: Well, let me ask you that though too. But you’re saying on the business side, now if you’re a business and you’re set up as s-corp and you’re paying yourself, then you’re paying taxes on that, the pass through income is what you’re really talking about being taxed on. Is that correct? [00:10:04] Josh: Yeah. Anyone listening to this podcast they’re almost certainly what they call pass through entity. Meaning they’re a sole proprietor, they’re an LLC, they’re an S-corp. They are one of those entities which means the business itself pays not taxes. It passes those profits through to the owner, the owner pays the taxes. If you’re an S-corp you have to pay yourself a salary from the business which then reduces those profits but you have two forms of income. You have a salary and you have profits. Any of those entities are paying taxes on the same amount of income it just changes how it’s taxed. So yeah, essentially what we’re talking about here is the profits of the business. When you purchase inventory reduces the profits of the business, reduces what you’re paying taxes on. [00:10:51] Scott: Let’s get into that tax bill then. [00:10:52] Josh: So the tax changes that they passed finally at the very end of 2017, there are going to be quite a few changes here. Some to the business side, some to the personal side. On the personal side it’s a lot of shuffling of deductions. So they’re getting rid of some here, increasing some there. So for most people they don’t have to worry too much about what’s going on there. One big thing is they basically doubled the standard deduction and we’d have to dive real deep into the nitty gritty here but basically everyone either itemizes their deductions or takes a standard deduction. Itemized deductions consist of mortgage interest, property taxes, state taxes paid, charitable donations, all of those kinds of things. You add them up, if you can beat the standard deduction that the IRS gives you then you itemize it. If not then they take the standard deduction. Now, they’re doubling the standard deduction so if you’re married it’s going to be a $24,000 deduction this year, whereas last year I think it was $12,700. If you’re single it’s going to be $12,000. Which means in order to itemize you’ll going to have quite a bit of mortgage interest, property taxes, things like that. So that’s going to change how people do things. For most people it’s going to end up giving them a bigger deduction. But it’s hard to go into specifics here. It’s so dependent on each individual’s situation. That’s one big change on the personal side. Another one is they’re getting rid of personal exemptions but then they’re also doubling the child tax credit and making it much more likely that people can actually take the child tax credits. So back to changes there but like I said, for most people it will end up being mostly the same. They’ll probably stay a little bit on the personal side. The people listening to this podcast have a business this is where the big change is. Those profits that we talked about that you’re taxed on the business, so back to our scenario, the business brings in $100,000, They have $50,000 worth of expenses that they write off that leaves a $50,000 profit. The individual owner of that business is taxed on that $50,000. Doesn’t matter if they leave it in the business, doesn’t matter if they take it out as distribution. They are taxed on all $50,000 of that profit, in the past. 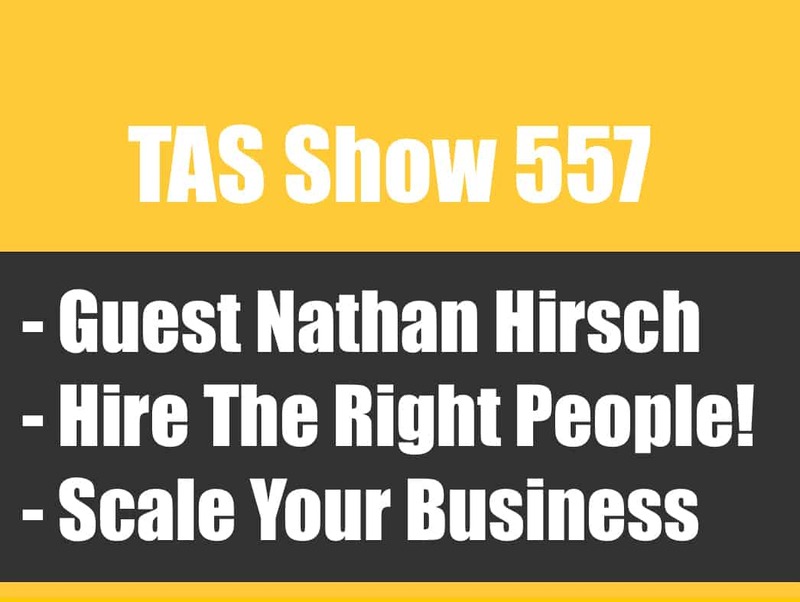 [00:12:55] Josh: What they’ve done this year, and this is the first time that I know of that they’ve ever looked at past your business entities and said how can we help business owners pay less taxes on it? What they’ve said is, ‘Okay, instead of paying taxes on 100% of that profit, they are now only going to pay taxes on 80% of that profit.’ So you’re getting an immediate 20% deduction. 20% of those profits you’re deducting from your income taxes for no actual expense. So to make the math easy, let’s say you profit after all expenses you profit $100,000. Instead of paying taxes on that $100,000 you’re now paying taxes on $80,000 which is a big deal. For most people that’s going to equally a substantial tax savings especially if they have a pretty successful business. [00:13:39] Scott: Yeah, so let me ask you. Where did that come from and why? Do you know? [00:13:45] Josh: So what happens is any time you listen to these politicians talk about we need to lower taxes, we need to lower taxes. And they’re all saying the business taxes need to be lower. But they’re politicians, they’re not accountants, they’re not CPAs. They don’t understand how taxes work and they don’t understand that almost every small business owner is not a C-corporation. Which means their business does not pay taxes. So when they sit there and they say, ‘We want to lower business tax rate to 21%, the overwhelming majority of business owner in the United States would feel no impact of that. So finally, when they were putting this tax plan together, they looked at it and truly said, ‘How can we actually help actual business owners in the United Stages, small business owners?’ And they said, ‘Oh wait a minute. These guys are paying the taxes on their personal tax return. So how can we still help them,’ and they come up with this idea of, all right, once those profits pass through to their individual tax return we’re going to reduce it by 20%. [00:14:38] Scott: That’s pretty awesome. [00:14:41] Josh: It’s really awesome. It was this… It was a super creative way to find a good deduction for these business owners. [00:14:47] Scott: That’s massive. That’s incredible and I know we were kind of holding it off towards the end of last year and I think even doing a couple of the quarterly payments this year and you were kind of like we’re going to continue to move on as normal. But once everything kind of figures itself out then we can re-adjust. And that’s exactly what we had to do because we weren’t sure and you were like we weren’t banking on it because you never know. So we got to be careful on that. Because every time we talk we should mention that because that’s a huge thing that people get hung up on. And that advice is even in higher play now because they reduced taxes on c-corporations so people think it’s even better now. Just it’s not going to be good for you. There’s several reasons why. Maybe 1% of small businesses like your listeners it would be good for. Talk to somebody but that’s probably not going to be what’s best for you. So really, you’re looking at three options here. You’re looking at a sole proprietorship which means you don’t form any entity. You and the business are one and the same. If you have a partner, this is just called a general partnership. You don’t form an LLC, you don’t form anything. You just hit the ground running. And a lot of people think well, I have to form something where I can’t take any business expenses. Not the case. That changes nothing about what you can deduct, how your profits show, nothing changes with the sole proprietor. You can deduct everything you’re entitled to. All that means is you and the business are one and the same and where this really comes into play is on the legal side of things. I’m not an attorney, you’re not an attorney. So they should talk to an attorney but generally speaking what it means on the legal side is if someone sues the business they are suing you personally because the business is operating as you. You and the business are one and the same. So if you’re just getting started you don’t feel like there’s that big legal liability risk right now, a sole proprietorship, a general partnership is perfectly fine to operate out of. You’re not going to have any tax consequences from it. You’re going to just hit the ground running, save the time and money. The next step up is the LLC. And what the LLC does, in theory and again you need to talk to an attorney to make sure this does help you but in theory it puts a wall between you and the business. So if there’s business, you got this wall and then you have you. [00:17:59] Josh: I guess the wall is appropriate language right now with talking about all this tax hedges. It’s build the wall between you and the business. So you got this wall that if someone sues the business in theory they can’t get by that wall and include you in the law suit. Now there’s a lot of involved with that, talk to an attorney, it may not offer as much protection to make you think but that potentially is what it does. Contrary to popular belief an LLC offers zero tax benefits. The IRS does not even recognize LLCs. It will be the same as if you’re a sole proprietor. It will be reported on the same form. You’ll the same amount of taxes. So do not open an LLC with the idea in mind that you’re going to save taxes. It’s strictly a legal liability entity. Finally, the next step up and this is when your business is starting to make some pretty good money. And you’re saying, ‘I’m getting hit with a ton of self-employment taxes, what do I do to save money?’ Now you look at forming an S-corporation. And an S-corporation is not an entity by itself. What it is, is a tax designation. So you take that LLC and you say, ‘I now have my LLC [inaudible 00:19:05] S-corporation.’ And you’re still being taxed on all the same amount of income, you just not longer being hit with what they call employment taxes which a sole proprietor, the LLC are getting hit with which is an additional roughly 16% tax or 15% tax on those profits. So if profit is $100,000, you do the math, you can add instantly $15,000 to your taxes. The S-corporation can wave the majority of those away. And if you’re profiting, we’ve kind of increased this now with the change in tax laws. Now I’m starting to say if you’re profiting $50,000 to $60,000, meaning after all expenses, $50,000 to $60,000 it’s time to start considering an S-corporation. And it could save you massive amounts of taxes. There are things that come with that of course. They’re not just going to give you those tax savings for nothing. [00:19:54] Josh: You have to put yourself on a salary in an S-corporation meaning you want to have a payroll company. It’s not just saying, ‘All right, here’s a check for myself for $5,000 for my salary.’ You got to run through payroll taxes, payroll tax returns, all that good stuff. But as a general guideline, here’s what we say about these three entity types. You’re just getting started, you’re not yet making any money, maybe very little money, you don’t have legal liability concerns and a sole proprietor, a general partnership just fine. Hit the ground running, don’t spend your time and money. Now your business is not making too much money. Less than $50,000 profit, but you’re starting to say, ‘I’m getting a little concerned about legal liability, I want to potentially protect myself.’ Now you go form that LLC and finally, you’re hitting $50,000 to $60,000 or more in profits. You paying self-employment taxes. Now, it’s time to say let’s make that S-corporation or let’s look at making that s-corporation and see if it makes sense. [00:20:47] Scott: And I was always nervous about the S-corp just because of the payroll stuff. Once you kind of got me kind of dialed on that you’re like no man, we’ll just set it up through an automated kind of payroll system, they’ll do it all for you. And that’s exactly what’s been happening and then it was also confusing for me at first. Like okay, wait a minute here. So the money gets passed through still to me. I can still have that run into my account. I can still use the money. It’s just that’s the money that the business is technically making. [00:21:30] Josh: It is super confusing and like I can tell people, if you make the switch… If go do all this, do the S-corporation, you’re doing a salary, you’re going to be two years in and be like I have no idea what the idea what the hell is going on. All I know is I’m saving taxes. It’s going to be confusing. You’re going to eventually catch on but as long as you’re using a person who knows what they’re doing they are not trying to cheat the system, they’re handling it correctly then you know that everything is good even if you don’t fully understand exactly how it’s all working. [00:21:57] Scott: I think that’s the thing. Because I think years ago and probably even still to this day, people are forming it and then they’re not claiming really like a normal salary on that amount of money. And I think like you said, there’s different like, there’s different percentages that you want to use just to make sure that you’re on the up and up. You don’t want to game the system just like anything else because you’ll get caught eventually and then you’re going to get into trouble. So they’re going to look at, oh, you made, the business made $100,000 and you’re drawing $25,000 salary. Okay, that probably could be legit. If they were paying someone to do a job that you’re doing, would they pay $25,000? And I think that’s what you kind of said to me. Like, how much would it take for someone to be you and get paid for what you do or what you’ve done in the past in your business and that’s kind of like a good gage. And I think you’ve always used like at least 25%. [00:22:52] Josh: Yeah, exactly and that’s the exact standard we use is if you had to replace yourself in the business what would you have to pay somebody. But if you’re avoiding, if the goal ultimately is to avoid red flags that the IRS gets suspicious. And yeah 25% is generally a minimum depending on how profitable your business is we make all the way up to 40% because a business that profits $500,000 can probably get away with 25% whereas a business that profits $50,000 might need go up to 40%. So it’s so dependent on your situation. Talk to somebody. Make sure it’s what the IRS calls a reasonable salary. It’s not going to raise red flags but once you do that and you’re following in line and the tax savings are perfectly fine that’s why these options are there. Really quickly, just for people to kind of have a heads up. Like you’ve said this in the past. And I know you can’t like say it like we can’t guarantee like this is always the case but the IRS is most likely never going to call you on the phone to say… You’ve always said they’re going to send you a letter, they are going to have you respond to the letter or mail some stuff in. How many times do you hear people saying that they had someone call and say this is the IRS, we’re going to send the authorities to you if you don’t pay $5,000. [00:24:32] Josh: It’s a huge scam right now. If you get a call, or you get that voice mail, or even answer the phone and it’s someone saying that they’re with the internal revenue service or the call I got the United States of Government telling you that you need to pay right now over the phone and go to Walmart and buy some special payment thing to pay them, that’s not the IRs. The IRS almost certainly isn’t going to call you. They’re going to start out by mailing you, letter after letter, after letter until they get a response. And if they do call you, at no point ever will they say we need this payment over the phone. If you want to see a funny, I got something on my website where a client kept getting these calls so I called them back and recorded it and kind of played along and went down the rabbit hole for like 20 minutes. It got pretty funny. [00:25:16] Scott: Send me over the link to that blog post that you put up and I’ll put it in the show notes for sure. That will be funny. Okay, is there any other thing that we didn’t touch on that we want to touch on. I know the big news was the inventory thing. So I think that’s huge. So make sure that you guys are taking advantage of that buy you’re also thinking about that moving into the new year, before the New Year because if there’s a batch of inventory that you want to buy you can buy it and then take the deduction this year as long as it’s within this year today. Anything else you wanted to add there before we wrap up. [00:25:51] Josh: No, but that’s a big one. I guess I’d end it with this. I always say it’s important to talk to a professional about your taxes, not just try to do it yourself. This year that is 100 times more important than ever because there are massive changes going on. There are significant things you can do now that you couldn’t pass. So you need to make sure you’re taking advantage of these rules. You got to talk to somebody that knows what they’re doing. [00:26:13] Scott: Yeah, absolutely. So how would someone reach out to you. I know you’ve got a lot of cool things in the works and I’m not really sure what I’m supposed to be mentioning but you’re working on because you’ve got some really cool stuff that if they can happen, it’s going to be amazing. But you do have your services and stuff. So if you want just go ahead and let people know how they can get a hold of you. [00:26:32] Josh: Yeah, I guess it’s a little more confusing because I have two different companies now. I still have CPA On Fire. If you need tax work done, if you need some tax advice, tax strategy, anything related to your taxes come to us. We can absolutely help with that. You can reach me there, josh@cpaonfire.com. And we have, you and I have talked about this and we’ve experimented with it, me and my partner we experimented with it back and forth about offering this full-service solution to the higher e-commerce sellers. People in this case would target people doing $50,000 per month in sales or more. If you’re in that situation and you say, ‘I want someone that handles the book keeping, the sales tax, the taxes at year end, business and personal, anything that I have, inventory management, everything that I can possibly have related to my taxes and accounting, I want someone to take it off my plate.’ We finally created an awesome solution for that. This company is called The Prestige Journal. You can reach out to us there at info@tpjllc.co. This is in basic settings and we do have. Your listeners will probably be the last ones that this is offered to free but we’re still doing a free audit for people. Meaning we’re going to look at exactly where your business is at. Where you taxes are at, where you could be saving time where you could be saving money, where you could be saving taxes. We’re just going to give you a clear picture of where you are at, where you compare to the industry standards so you know what you’re doing. There’s not obligation to sign up for our service afterwards. All we’re going to ask you for is a testimonial if you like the audit. So if you think that would be of help to you, you’re in that $50,000 or more in sales per month range, reach out to me there and let’s get it done. [00:28:09] Scott: Yeah, I’ll link everything up in the show notes so that way there people can go and contact you and in the future if that audit is not available for free or whatever there will be something I’m sure there where you can reach out to Josh and see how you go about getting an audit on your business. Because I think it does come down to a lot of people as they grow and scale. They want to do less of the book keeping. They want to do less of the sales tax especially as the sales stuff is always a mystery anyway. So to be able to have you guys there to kind of work on this stuff inventory, all of that stuff within the taxes I think it’s a great, great service and I know it was a long time coming and you were working on that behind the scenes for a while. So I’m glad to hear that it’s finally come to life. So that’s exciting stuff. So yeah, go check out Josh’s stuff. I’ll link it up in the show notes. Josh man, thank you so much for coming on the podcast and letting us know this amazing news and I’m sure I’ll probably have you back on just for a recap before people file their taxes for the end of 2017. So we’ll probably hear back from you soon. But thanks so much for coming on. [00:29:12] Josh: Hey, I’m glad we could finally break some news. [00:29:14] Scott: Yes. Breaking news here everyone. We’ll have to have that sound effect at the end where it’s like CNN there. They’re coming into the podcast feed. Right now. All right Josh, thank you man. I appreciate you. [00:29:26] Scott: All right so there you have it. Huge tax news. This is a big deal for us e-commerce sellers. Not just Amazon sellers, just anyone selling ecommerce goods that haven’t been able to write off their full inventory. This is big, big news. So you heard it here first. Maybe you heard it here second I don’t know but you did hear it here. So big news. We got definitely take advantage of this. So if you want more information on this, I’ve linked everything up in the show notes at theamazingseller.com/591. And if you want to reach out to Josh you can do it on over there. I’ve linked up all his resources and also that funny clip of him going and communicating with so-called-IRS audit person that wanted to have them send money and it was a big scam. So he went ahead and he played with them a little bit and it was pretty funny. So you might want to listen to that as well. All right guys, so that is going to wrap up this episode, again reminder, the show notes can be found at theamazingseller.com/591. And as always remember, I’m here for you, I believe in you and I’m rooting for you. But you have to, you have to… Come on say it with me, say it loud, say it proud, “Take action.” Have an awesome, amazing day and I’ll see you right back here on the next episode.